For fans enduring the seemingly interminable wait for Marvel’s Avengers to reassemble on the big screen, Hot Toys has provided yet another exciting preview by unveiling its upcoming Avengers: Age of Ultron Hawkeye Sixth Scale Figure. 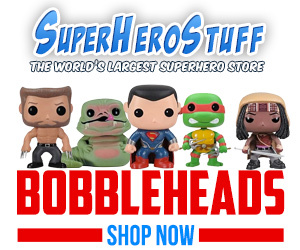 Estimated to ship in late 2015, Hawkeye joins an already impressive assortment of collectible figures inspired by the Avengers sequel that includes the , , , , , and . The nearly 12 inch tall Hot Toys Avengers: Age of Ultron Hawkeye Sixth Scale Figure features 30 points of articulation, 6 interchangeable hands, and a head sculpt and portrait that faithfully captures the likeness of actor, Jeremy Renner. Hawkeye comes sporting his all new costume complete with a long-sleeve shirt, wrist guards, overcoat, trousers, and boots. Weapons and accessories include extended and retracted version of the skilled archers bow, arrow speed loaders, a clutch of arrows (some with interchangeable arrowheads), a quiver, sunglasses and a figure stand. The Hot Toys Avengers: Age of Ultron Hawkeye Sixth Scale Figure is expected to ship in December 2015 at the manufacturers suggested retail price of $219.99.